Hedi Slimane does it once again. Slimane seems to never fall short of a picture prefect cover. 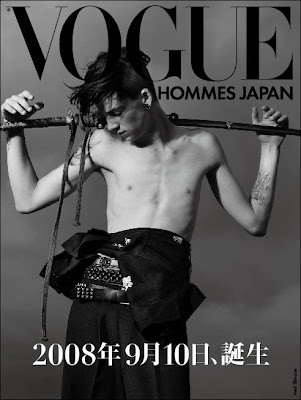 On the cover of the first issue of Vogue Homme Japan, model Ash Stymest portrays a samurai swordsman. We all wonder what the next big step is for Slimane. New York Fashion Week: Who will rule the runway?